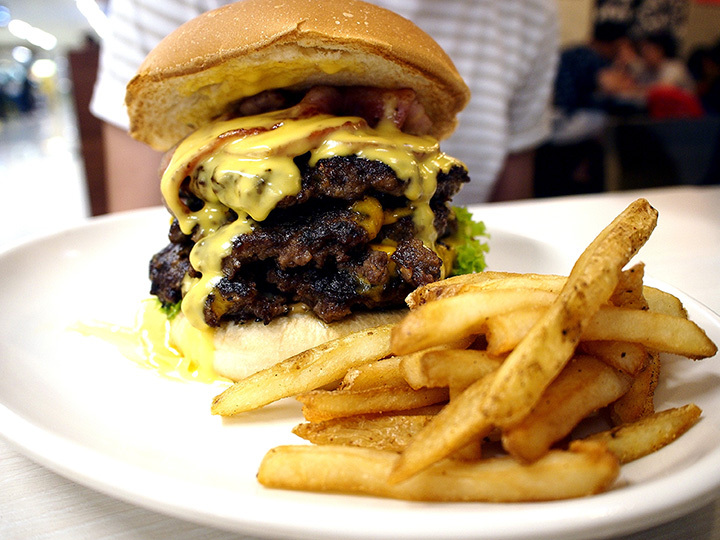 Food fanatics are always looking for the next “big” food, whether a gigantic burger or a one-of-a-kind crazy sundae. These fun and enormous food options will really test your mettle. Here are the best places for BIG food in North Dakota. Shotgun Sally’s, with locations in Grand Forks and Fargo, is a rowdy rock and roll saloon that serves up delicious food. Stop in for specialty drinks, a unique menu, and live entertainment! Don’t forget to try the 76er eating challenge! Customers in this challenge are served up a monstrous 76-ounce steak. Wow! This authentic Irish bar is one of the best places to go for happy hour in the area, not to mention their delicious food specials. But for competitive diners, try the Haystack McFarland, a five-patty burger that comes with two pounds of waffle fries and a 32-ounce drink. It’s not for the faint of heart! El Azteca is well known for their huge portions of mouthwatering, authentic Mexican food. The cooks use only the freshest ingredients and flavorful spices. They serve everything from fajitas to tacos, but foodies will want to make sure to try the whopping eight pound burrito. You’ll be sure to leave with a full stomach! Sickies Garage Burgers & Brews is the state’s most famous burger joint. This restaurant chain began in North Dakota and incorporates the state into their huge, crazy burgers. Customers can choose from 50 different unique burgers, but for diners who want a challenge, try the Victory Lap Challenge. This challenge serves up over five pounds of food—the top two buns are patty melts, the middle bun is a grilled cheese sandwich, and to fill it up, they add pulled pork, fried eggs, fried jalapenos, fried pickles, and boneless chicken wings. It is served with one pound of fries. Guests who clear their plate win a tee shirt, their meal paid for, and their name on the wall of fame. This insane burger challenge can’t be found anywhere else except for Sickies! Big Willy’s lives up to their name by serving up the Big Willy’s Frac Attack Burger Challenge. Customers are served up a plate of two grilled cheese sandwiches, two eight-ounce hamburger patties, Cajun sauce and caramelized onions, crispy fried onions and meaty chili, all stacked high and served on a bed of fries. Customers who finish the plate in one sitting win a free tee shirt, so get eating! Big Erv’s Bar & Grill serves up a big challenge. Customers who can finish their Almost Famous Food Challenge in 30 minutes get their meal for free and a free tee shirt. The challenge includes a stack of sandwiches and fries including, Wentz, Horace 5 Alarm, Pineapple Express, Lazy Boy, and Flavor Flav along with one-pound of seasoned fries. Head to the small town of Larimore for a big meal! DB’s The Station is home to the Annihilation Food Challenge, in which diners are served a three-patty meat wagon burger, one pound of shoestring fries with cheese sauce, and a 22-ounce milkshake. Diners who can finish the monster meal in 20 minutes or less get the meal for free, a tee shirt, and their picture on the wall. The Wild Hog Smokehouse Bar & Grill is known for their huge selection of barbecue-style dishes, but their specialty is the Wild Hog BBQ Sandwich Challenge. The wild hog sandwich is three quarters of a pond of smoked pork, smoked pulled chicken, and slow smoked beef brisket topped with coleslaw served on their specialty one pound bun. It is served with one pound of fries. Customers who finish this monstrous meal in less than 30 minutes get their meal for free and a tee shirt.